Teff is a super food. 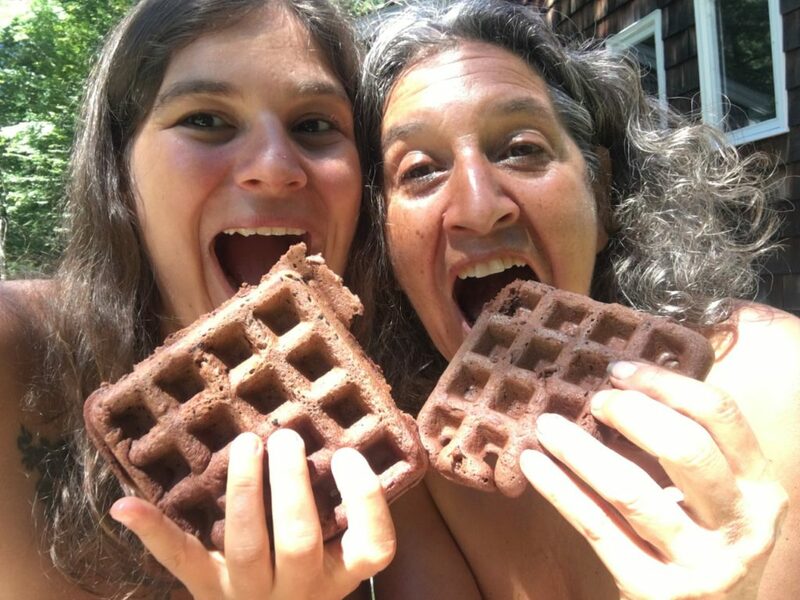 Paired with cocoa and dark chocolate, these waffles are loaded with iron, calcium, and magnesium just to mention a few benefits. I like to add a little maca and lucuma to enhance my super powers. Don’t have them on hand? No worries. Substitute teff flour! Note: These are totally fun to eat with your hands. This entry was posted in Blog, Breakfast, Gluten-Free, Recipes, Vegetarian and tagged ancient grains, Bobs red mill, breakfast, chocolate, Chocolate Chips, Coconut Oil, coconut oil, Cooking Classes, Coombs Vermont Gourmet, Dairy Free, delight, easy to make, eggs, Equal Exchange, Fair Trade, Farm to Table, frontier coop, gluten free, Gourmet, Healthy, healthy food, healthy lifestyle, leslie cerier, lucuma, maca, Nutiva, Nutrition, Organic, organic life style, palate, personal chef, Super Foods, sustainability, sustainable living, Teff, teff company, teff flour, vanilla, vegetarian, waffles, Wellness Coach, YUM, yummy on 03/31/2019 by Leslie Cerier. This entry was posted in Blog, Cooking Tips and tagged Bobs red mill, breakfast, brunch, cacao, chocolate, Chocolate Chips, cocoa, Coconut Oil, Cooking Classes, Coombs Family Farms, daughter, delicious, eat, eatwell, Fair Trade, foodporn, Frontier Coop Herbs, glutenfree, Leslie Cerier. 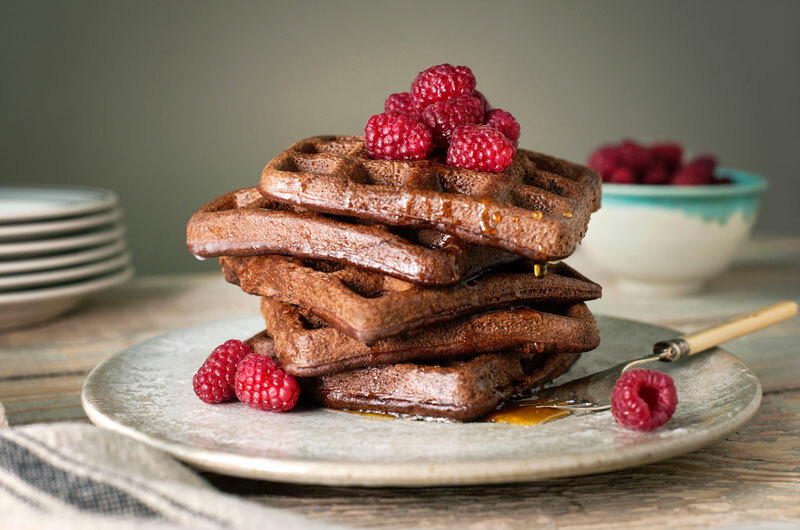 personalchef, lucuma, maca, maple, mother-daughter, muffins, navitas organics, Nutiva, nutriition, Organic, power, Simply Organic Foods, sweet, Teff, teff flour, Teffco, vanilla, vegetarian, waffles, Whole Grains Council, yummy on 09/30/2018 by Leslie Cerier. This entry was posted in Blog and tagged Almond, berries, Blueberry, breakfast, cacao, cashews, chia, chocolate, cleaneats, Coconut Oil, Cooking Classes, Coombs Family Farms, cranberries, creamy, drinks, Energy, Farm to Table, Frontier Coop Herbs, fruit, Gluten-free, Healthy, Hemp, honey, leslie cerier, lesliecerier.com, lucuma, maple, navitas organics, non dairy, Nutiva, Nuts, Organic, organic life, personal chef, pleasure, Pomegranate, Protein, Quick and Easy, Raspberry, Recipes, Refreshing, rich, seeds, Smoothies, snack, vanilla, Vegan, vegetarian, Viamin C, vitality, Wild Foods, yogurt on 07/01/2018 by Leslie Cerier. In my world organic cacao and/or chocolate goes with everything. 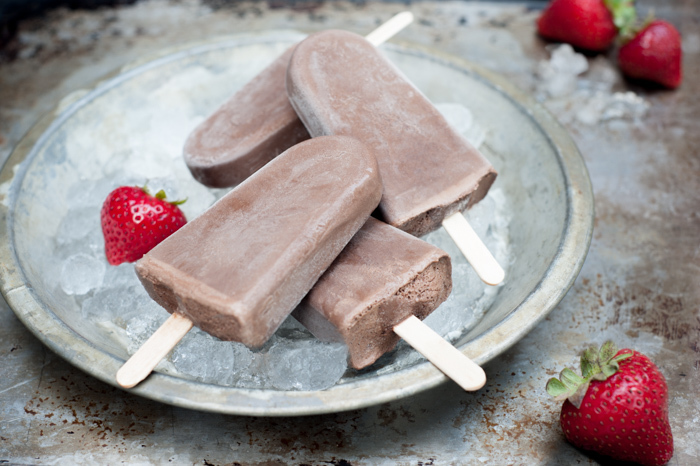 Even in height of strawberry season, I am thinking about how great these cashew coconut cocoa pops are with fresh strawberries. This entry was posted in Blog and tagged cacao, cashews, chocolate pop, cocoa, coconut milk, Coconut Oil, cooking, Cooking Classes, Coombs Family Farms, Deans Beans, Equal Exchange, Fair Trade, Farm to Table, frontier coop, honey, leslie cerier, lesliecerier.com, maple syrup, Organic, organic beauty, Organic lifestyle, personal chef, raw, recipe developer, Tracey Eller, vanilla, Vegan, YUM on 06/19/2018 by Leslie Cerier. This entry was posted in Blog and tagged Amherst MA, balsamic vinegar, Brookfield Farm, cooking, Cooking Classes, Coombs Family Farms, CSA, Farm to Table, feast, frontier coop, lesliecerier.com. 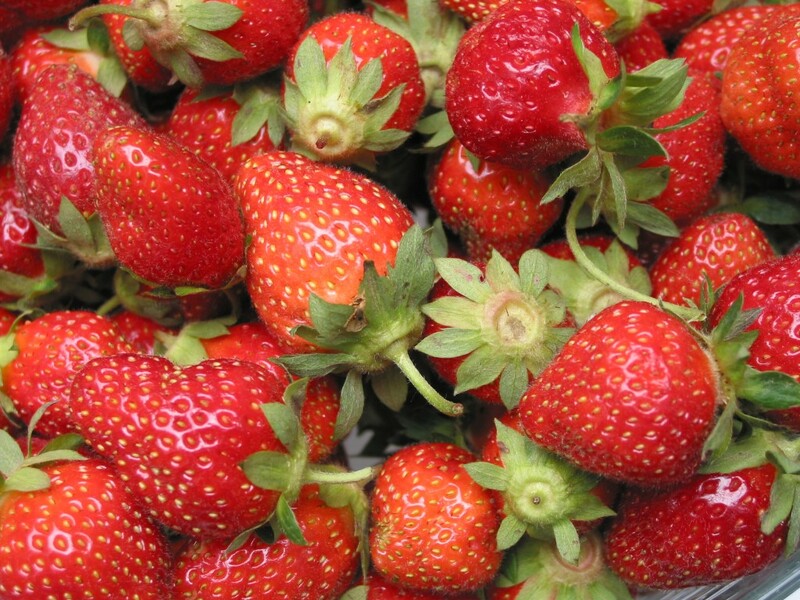 strawberries, Organic, organiclife, Pancakes, personal chef, sauce, Smoothies, vanilla, vegetarian on 06/18/2018 by Leslie Cerier.